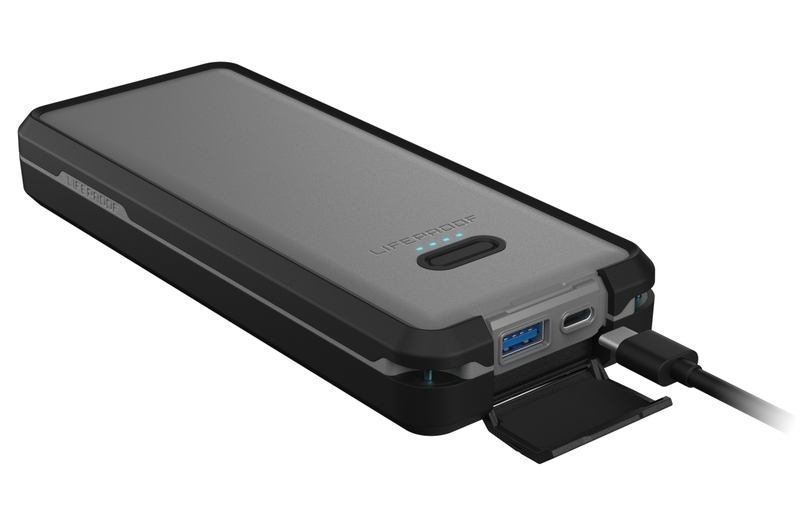 LifeProof has just announced LIFEACTÍV Power Pack 20, an update to last year’s original LIFEACTÍV that doubles the capacity to allow it to fully charge a laptop or serve as the sole power source for a smartphone on a weekend excursion, while also being rugged enough to take on outdoor adventures. Packed with dual 10,000 mAh batteries for a 74 Wh capacity as well as a USB-C Power Delivery port for maximum charging speed, Power Pack 20 is also waterproof and drop-proof, capable of handling immersion in up to 6.6 feet of water for up to one hour, or drops from up to 6.6 feet, as well as of course resisting dirt and snow. An LED flashlight is also built-in to allow Power Pack 20 to serve double duty while on the road, preserving your iPhone battery from the drain of using its LED flashlight. Power Pack 20 is available now from LifeProof.com for $100.